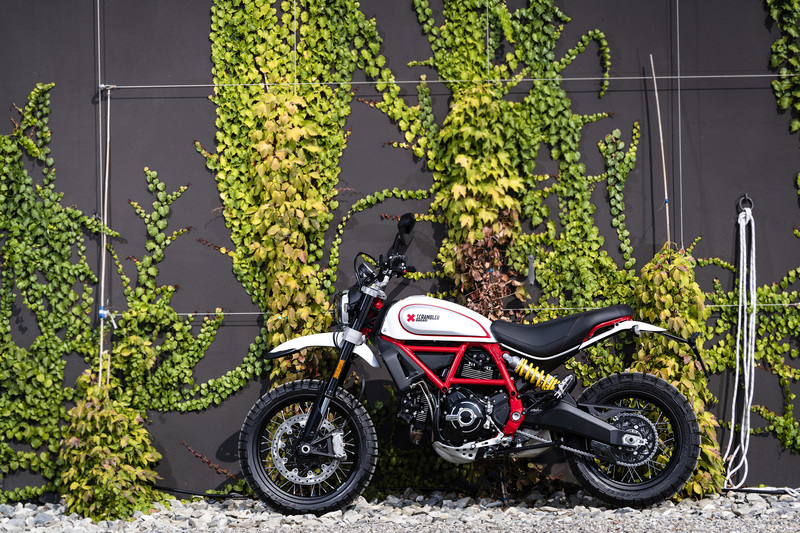 Topline: Three popular variants of the Ducati Scrambler get a makeover for 2019 with similar safety, tech, and aesthetic updates to those recently added to the Scrambler Icon. What’s New: Perhaps the most notable upgrade for all three of these refreshed Scramblers is standard Bosch cornering ABS (which we really like). This safety feature is especially beneficial for inexperienced riders who might not know that slamming on the brakes in the middle of a turn isn’t a great idea. 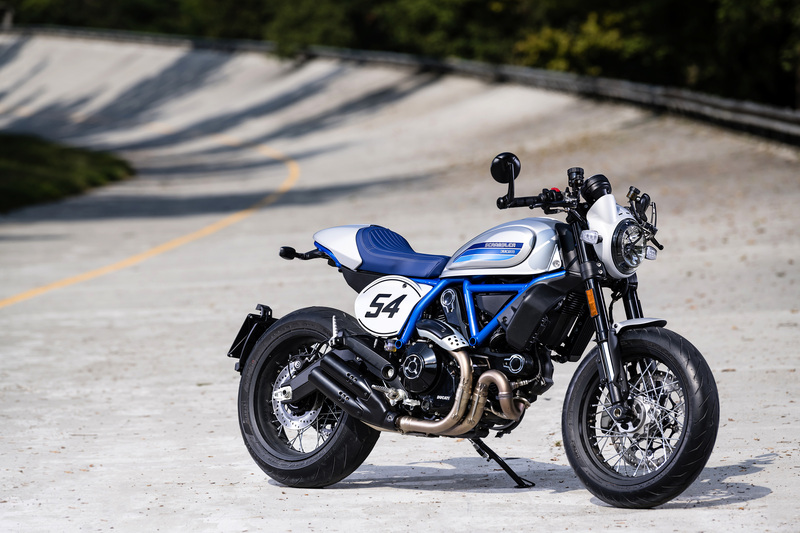 Other updates across the Scrambler board include a new LED daytime running headlight, a revised instrument cluster with Bluetooth, a gear indicator, and a fuel gauge, and hydraulic clutch control with an adjustable lever. Beyond those upgrades, the new stuff for 2019 is mostly aesthetic with no changes to the excellent 803cc L-twin engine that makes 73 horsepower and 49 pound-feet of torque. The off-roady Desert Sled has an off-road riding mode that allows you to turn off ABS as not to hinder your playing in the dirt. It also gets an engine skid plate, a mesh headlight guard, high mudguards, and a cool red frame. 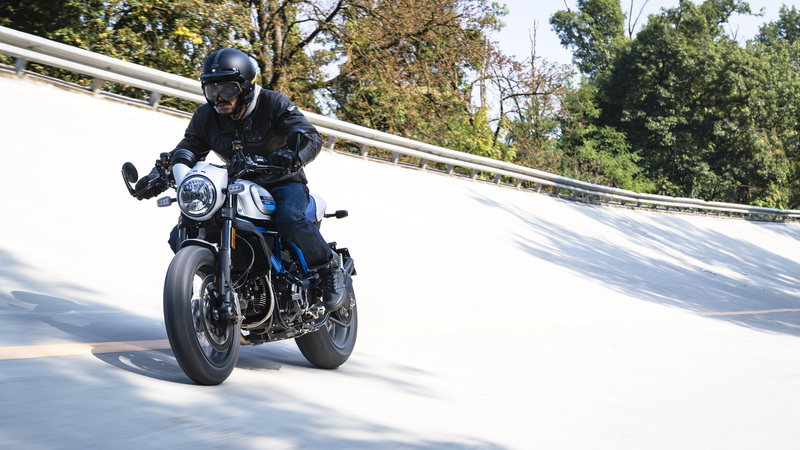 The new Scrambler Cafe Racer is quite an aesthetic departure from its predecessor. The black and gold color scheme is out and a new gray and blue paint job inspired by the old Ducati 125 GP Desmo is in with retro blocky lettering on the tank. Along with the cowled solo seat, clip-on bars with bar end mirrors contribute to a sporty vibe. The blue frame and blue seat certainly make it stand out in the stock cafe racer crowd. For an Italian bike, this two-wheeler has a very British personality. 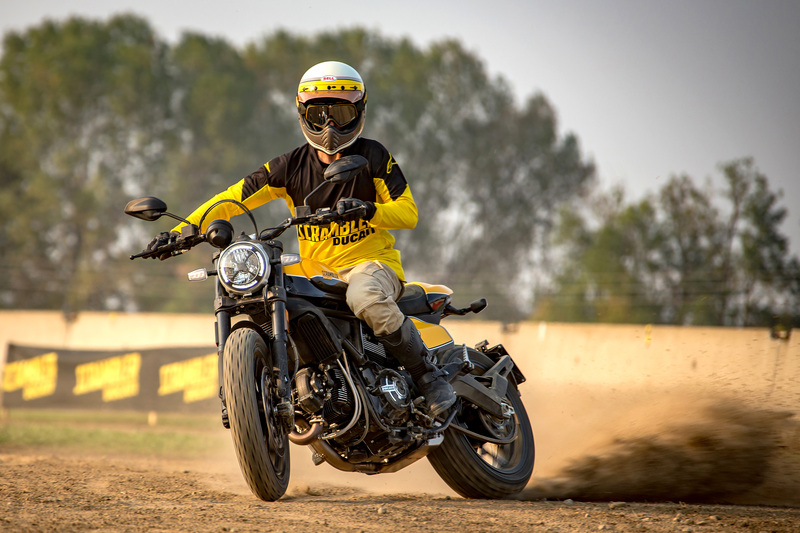 Finally, the Scrambler Full Throttle is a flat track-inspired affair with a bold yellow and black two-tone paint job reminiscent of the Scrambler that Frankie Garcia rides in the 2018 American Super Hooligan Championship. Of the three, this one is the most like the standard Scrambler Icon, but with a few notable styling differences. It has a solo seat, a yellow number plate, a tiny front fender, a tapered handlebar, and dual-silencer exhaust. 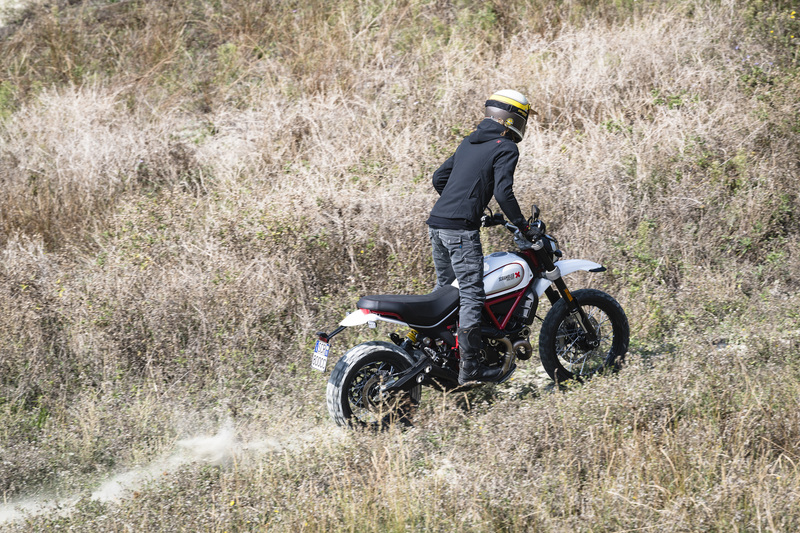 What You Need to Know: The Scrambler has been a hit for Ducati having sold more than 55,000 of them globally since the model's introduction in 2014. Part of the reason for its success is the many distinct variants catering to a wide range of different riding styles. Ducati has done a nice job releasing new Scramblers fairly often and keeping them fresh with updates like the ones you just read about. The Desert Sled and the Cafe Racer will both start at $11,995 and the Full Throttle will come in at $10,995. For reference, the base Scrambler Icon starts at $9,395. 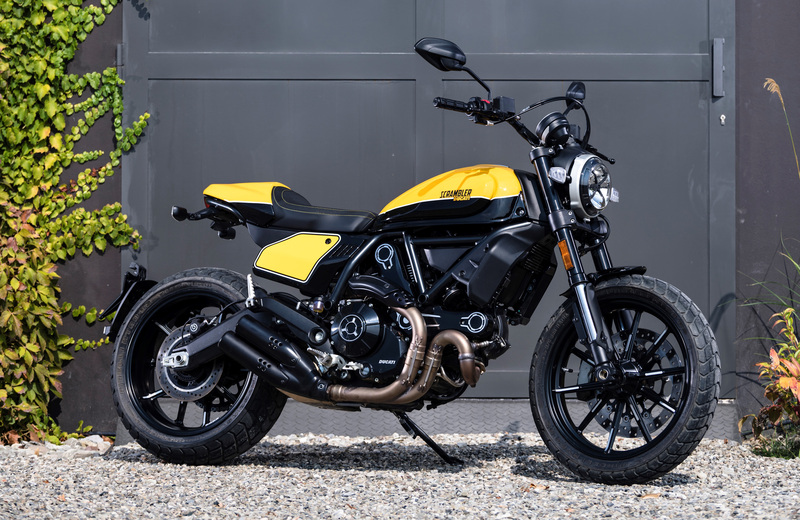 You can expect to see all four new Scramblers hit North American dealerships in the first quarter of 2019.